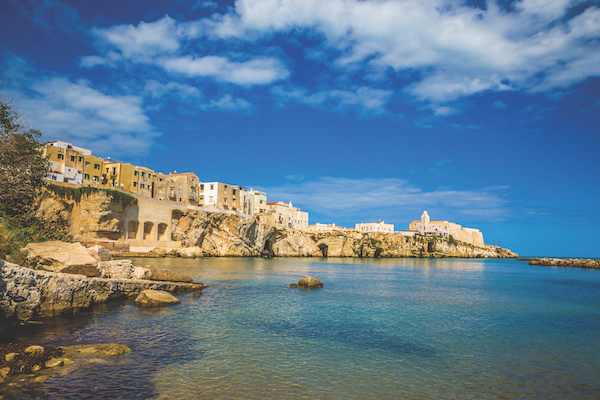 How would you recommend we make the most of our seven-day trip to Puglia? There will be four of us, my husband and two teenage children, and we want to get to see as much of the region as possible but also want time to relax. In order to get the best out of your stay you should rent a car for the duration, which will enable you get around easily. You should also consider staying somewhere within the Valle d’Itria as it is ideally placed to visit many of the well-known sites. There are plenty of holiday rentals in the region and for your accommodation you should choose a villa with a private pool with perhaps other activities to keep the teenagers occupied. Spend your first day and the day before you leave relaxing and taking advantage of the facilities available at your villa: relaxing by the pool, having a barbecue, playing table tennis or make a short trip into the local town to browse or shop. Any visit to Puglia should include a visit to Alberobello, the most visited town in Puglia. However, to make the most of the day you should tie this in with a visit to Grotte di Castellana, one of the longest cave systems in Italy. Step back in time with a visit to the Sassi in Matera, where caves and houses carved into the rock had been continuously inhabited since prehistoric times right up to the 1960s. Explore the quaint medieval streets of the centro storico in the hilltop towns of Ostuni, Locorotondo and Cisternino, and discover tiny churches, restaurants and old ladies sitting on their doorsteps making pasta or just watching the time drift by. 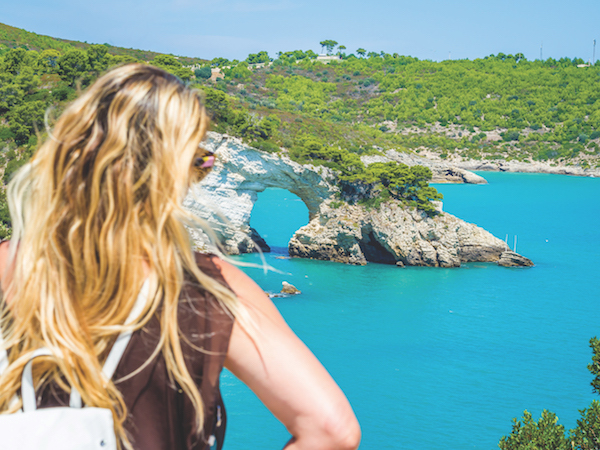 A relaxing day out for the whole family would be to spend time at the water park in Savelletri, the zoo at Fasano, or one of the beaches on either the Adriatic and Ionian coasts. Look out for posters advertising local festivals. For a flavour of Pugliese cuisine order the antipasti della casa in which several different typical hot and cold Pugliese dishes will be served. Don’t expect to eat a whole main course after this! We would like some advice about buying an apartment in Venice. The ground floor properties are cheaper but there is obviously the risk of flooding (as seen recently). Would you be able to offer suggestions of the best areas to find a property or advise on whether we should avoid ground floor apartments all together? Ground floor, or piano terra, apartments have much to recommend them when looking for investment property in Venice. If you take the time to do your research, you can find ground floor properties built at 1.6/1.7m or similar above sea level, which greatly reduces the risk of any flooding. Certain districts in the city are built on higher ground than others. 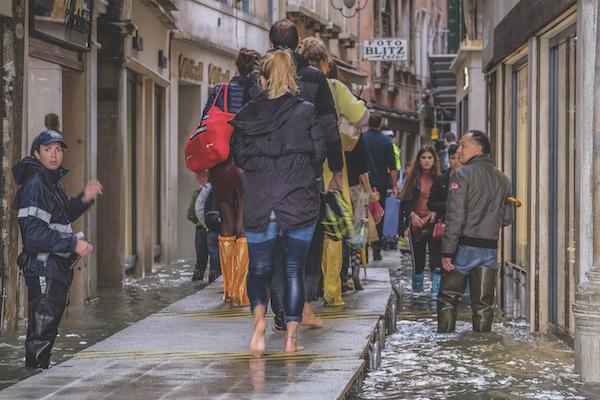 Dorsoduro district, for example, tends to have less flooding than the areas around San Marco and Rialto. There are maps online which show the exact height of properties throughout the city, allowing buyers to educate themselves before purchasing. Economically, ground floor apartments tend to be less expensive, which allows buyers to acquire more living space per square metre. That increases the rental potential. Ground floor properties also often have canalside locations with the very best views of passing gondolas and Venetian daily life. Often, they can also provide private outdoor “courtyard” spaces that can be fitted out with greenery and outdoor seating, which upper floors do not have, and so are more aesthetically appealing to potential renters. As most buildings in Venice do not have elevators/lifts, ground floor properties are more easily accessible without requiring the climb of sometimes several flights of stairs (which are usually quite narrow and difficult to navigate, especially with luggage). This is particularly desirable in terms of rental potential for older or disable guests or families with smaller children. It is also much easier when having any household works or furnishings installed. Ground floor apartments often have their own private entrances, which would allow for keypad coded entry systems that can even be monitored remotely. Properties on upper floors tend to have communal access points such as shared stairways and doors, which can make providing access for potential renters more complicated, and in terms of renters checking in or out in early and late hours, can be potentially disturbing to neighbours. Italian property in a British will? I am purchasing a property in Italy. I am buying it in my name alone as my husband is going to continue to work in the United Kingdom for two to three years. I am going to apply for residency and set up a holiday rental business. My question is: legally, will our Italian property be covered by an English will? And when my husband does come over to Italy permanently, should I transfer the property into joint names when he gets his residency, or should we rely on the will? Your UK will can cover your assets located in Italy as long as it does not refer specifically to assets located in the UK. It is advisable to clearly state that your Will also covers the Italian assets. Despite the fact that UK Wills are valid in Italy, Italian probate involving foreign Wills is usually more complicated and an official, legalised translation of the Will and/or Grant of Probate is usually required. In light of this, it is generally advisable to make a separate Italian Will to cover your Italian assets as doing so can dramatically simplify the probate procedure in Italy upon your death. When making a Will, UK citizens should carefully consider their potential UK liabilities, which may still impact British nationals resident abroad. Before gifting or selling a share of the property to your husband, you should consider the legal and tax implications of the gift or sale both in the UK and in Italy. Stamp duty and capital gain taxes, both in the UK and in Italy, may be due depending on the circumstances of the case. It is therefore appropriate to seek independent legal advice from dual qualified tax and legal advisers before you purchase the property and move to Italy. Depending on your individual circumstances, it may be advisable for you and your husband to each purchase a share of the property or just purchase the property in your own name and subsequently leave the property to him in your will.